A survey that compares the working habits of different age groups among 3,000 office workers across Europe has thrown up some unexpected findings. Among them it suggests that with age not only comes wisdom, but also greater resilience to extra demands and higher levels of productivity than their younger co-workers. With comment from Andrew Filev, founder and CEO of Wrike. The Wrike Digital Work Report, an independent survey of workers in the UK, France and Germany, included respondents from five different age brackets, ranging from 18 to 24-year-olds, to Millennials (25-34) through to those aged 55 and over. It revealed that in most cases work demands have gone up across Europe in the past year, although the UK saw the biggest variances between age groups. Over that period, 71 percent of UK Millennials said individual workloads had risen, compared to just 42 percent who said so from the oldest age bracket. In France and Germany it was more consistent across the board, ranging from 74 percent among Millennials and 65 percent among the over 55s in Germany, and 80 percent and 69 percent respectively in France. The study then looked at the impact rising workloads have had on individuals and how different generations are coping with greater demands. Feeling more stressed was particularly felt among Millennials, with 69 percent citing that as the biggest change because of those extra expectations, compared to 54 percent among the over 55s. Furthermore, a quarter of UK Millennials said they’ve taken more days off sick because of it, compared to 13 percent among those 55 and over, perhaps suggesting there is greater resilience among the older workforce when it comes to having to juggle more tasks. Worryingly, 14 percent of UK Millennials said they smoked more, compared to just three percent of over 55s. In France, almost a third (29 percent) of Millennials said they smoked more because of the extra demands placed on them over the last year. To meet those extra demands, 43 percent of UK Millennials that took part in the Wrike Digital Work Report said they believe their line manager expects them to work longer hours, compared to a quarter of over 55s who think that. Furthermore, a fifth of Millennials think their manager expects them to take fewer holidays, compared to just three percent of over 55s. Explaining why the older workforce is better at dealing with what’s thrown at them may be because they are more focused on the tasks at hand – a third of over-55s in the UK estimate they operate at over 90 percent productivity levels while at work, compared to just eight percent of Millennials who say they work at that highest level. It appears many UK businesses are turning to technology to address some of these disparities, and help younger workers manage their growing stress and workload. The report revealed that 55 percent of UK Millennials said the number of apps used at work has risen over the last year, something that is proving to have had a positive effect – 59 percent of Millennials said the adoption of digital tools has had a positive impact on their organisation. Among the over 55s, 40 percent said the number of work apps had risen in that time, with just over half (51 percent) saying they felt digitalisation was a good thing. 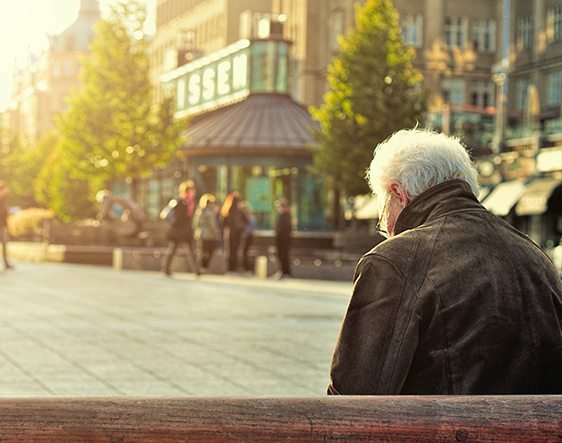 Andrew Filev, founder and CEO of Wrike, commented: “The latest findings of the report has thrown up some interesting and perhaps unexpected findings when it comes to how different ages are coping with extra demands being asked of them. “Years of experience, and the extra wisdom that brings, certainly plays a part, but also a better sense of priority and focus appears to play a big part in why older generations are coping better with those. “It also shows that the older generation is not a generation of luddites. In fact, far from it,” he added. “Finding the right digital tools can help individuals and teams to work more efficiently, and in the majority of cases the benefits of adopting them is being recognised across all ages in the UK workplace.” The survey was conducted by OnePoll in August 2016 among 3,000 office workers, with 1,000 respondents each in the UK, France and Germany.